During Samsung’s developer conference this week the company spent time discussing mobile gaming and the future of video games in general. The South Korean has been working on its gaming strategy since 2015 to become the best place to play mobile games on smartphones. In order to make this happen, the South Korean company plans to release two programs for mobile game developers. The first one is called ‘GPU Watch,’ which should help devs optimize their games for mobile. The next tool is Samsung’s new game SDK. Samsung also shared what companies it’s partnering with in its effort to move gaming into the future. The first partner that came on stage was Microsoft talk about its Project xCloud game streaming service. 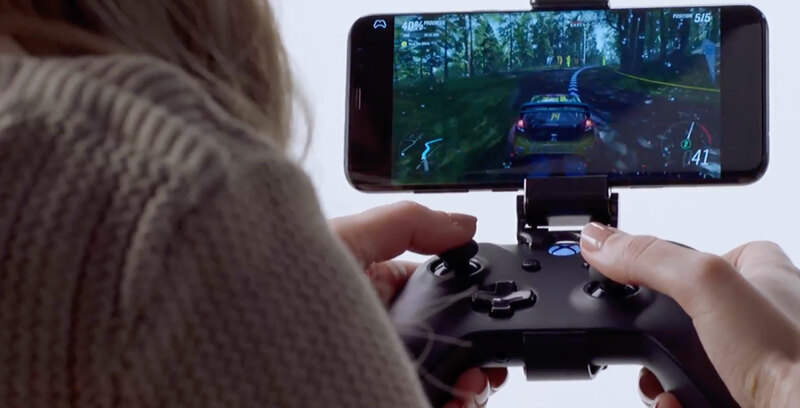 In a product video, the company showed off mobile devices connected to Xbox controllers playing games like Halo 5 and Forza Motorsport 4. The idea behind this software is to let gamers play their games on any device by directly streaming the title from a Microsoft server. “We’re going to do what Spotify did for music, what Netflix did for video. We want to make games available on any screen instantly,” said Sarah Bond, head of global gaming partnerships and development at Xbox and Microsoft, during the presentation. “We want to create a future where the millions of people who are holding a Samsung device are also holding a gateway to a high-powered gaming experience.